The Pull List tab shows you all issues of your pull list series that either have been released in the last month or are going to be released in the upcoming months.Very useful to keep track of issues you may want to add to your wish list! 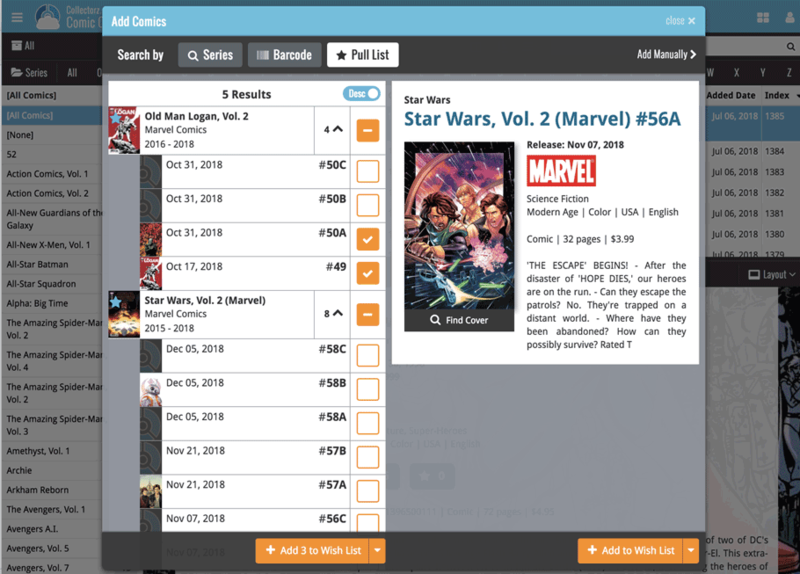 You can Add/Remove series to/from your Pull List by clicking the star icon top left on the series image. Click on the little star that appears in the top left corner of the image to add it to your Pull List!